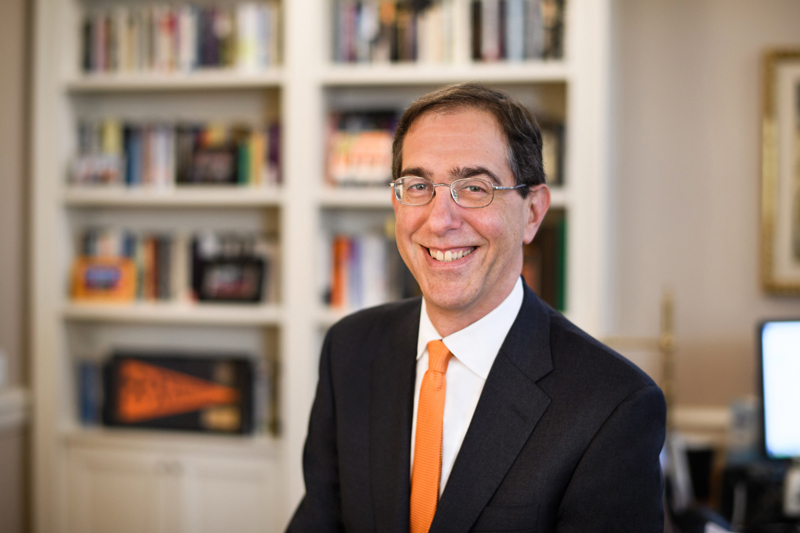 Eisgruber will summarize the letter and invite questions at open meetings this month: the annual Town Hall meeting of the Council of the Princeton University Community from 4:30 p.m. to 6 p.m. on Feb. 12 in 101 Friend Center, and a town hall for University staff from 10 a.m. to 11 a.m. on Feb. 20 at Richardson Auditorium in Alexander Hall. The president began his letter citing “festive ribbon-cuttings” that were held over the past year for the Julis Romo Rabinowitz Building, the Louis A. Simpson International Building and the Lewis Arts complex. He also cited the recently released 2026 Campus Plan, which provides a planning framework for campus development over the next 10 years in a 30-year context. “Crucial to all of our planning is a fundamental conviction about Princeton and other great universities: namely, that these rare and extraordinary institutions are forces for good — places that have the capacity not only to transform the lives of the people who study, teach and work at them but also to address the world’s most urgent problems, add to its cultures, and enhance the connections that bring human beings together on behalf of shared purposes and values,” Eisgruber said in the letter. Eisgruber noted that “higher education is increasingly a focal point of partisan political division” in the United States, and he cited the new 1.4 percent tax on “net investment income” of Princeton and around 30 other colleges and universities that Congress passed as part of a tax reform bill. As public attitudes shift on the value of higher education, “we in colleges and universities must stick to our principles,” Eisgruber wrote. “We should pursue our mission steadfastly and tell our story as clearly as we can — even if portions of that mission are unpopular or controversial. “For example, Princeton pioneered an all-grant, no-loan financial aid policy in 2001 not because it was popular but because it increased our ability to attract talented students from all backgrounds,” said Eisgruber, also mentioning the University’s vigorous defense of its Deferred Action for Childhood Arrivals (DACA) students. In his letter, Eisgruber announced that the University will broadly distribute the 2018 “Pre-read” book “Speak Freely: Why Universities Must Defend Free Speech” by Keith Whittington, Princeton’s William Nelson Cromwell Professor of Politics. The book will be published this spring by the Princeton University Press. Eisgruber recommended that everyone in the campus community read the 2026 Campus Plan either in full or, abridged, in a news story about it. Eisgruber highlighted three significant aspects of the plan: The vision for a new Lake Campus on lands south of Lake Carnegie; Potential plans for new residential colleges at a site south of Poe Field; A proposed site on the north side of Ivy Lane for new academic buildings to house programs in data science (including the Department of Computer Science), engineering and environmental studies. Eisgruber said while the Campus Plan focuses most of its attention on potential sites for new initiatives, the University must and will continue to invest in existing programs and buildings. As one example, he noted the strategic planning Task Force on the Future of the Humanities listed renovating the Princeton University Art Museum as one of its highest priorities. He said friends and alumni have volunteered significant support for the project already, and he expressed optimism that the University will be able to proceed with the project in the near future, contingent upon reaching fundraising targets. More broadly, the president said the University’s ability to pursue priorities imagined in the strategic framework and envisioned in the Campus Plan will depend on successful fundraising. Preparations for the next capital plan are underway, he said.